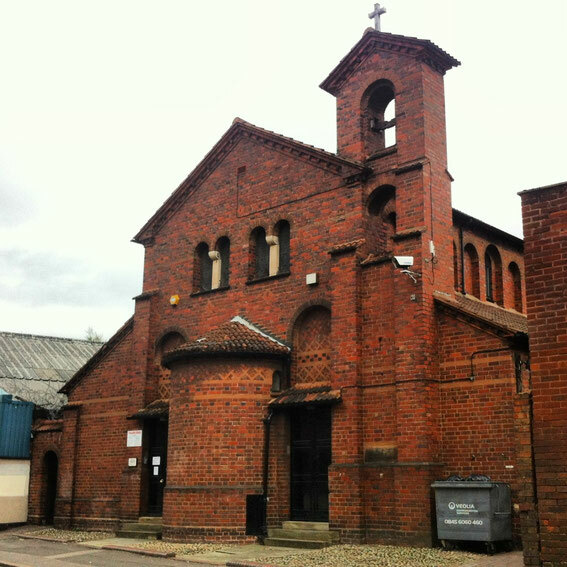 A temporary church was opened in 1886 on Heath Mill Lane serving a poor, densely populated district. A parish was assigned from that of St Peter and St Paul, Aston. A new church on the same site, designed by Birmingham Arts & Crafts architect Arthur Stansfield Dixon, was consecrated in 1911. The small rectangular red-brick building with a north-west bellcote is variously described as Romanesque or Byzantine style. In 1939 the parishes of St Basil and St John, Deritend were united as a single benefice. St John’s was demolished in 1947. In 1978 St Basil’s closed and the parish was united with St Martin in the Bull Ring. The building is now a centre for helping homeless young people. Historic England website - https://historicengland.org.uk/listing/the-list/list-entry/1289680.